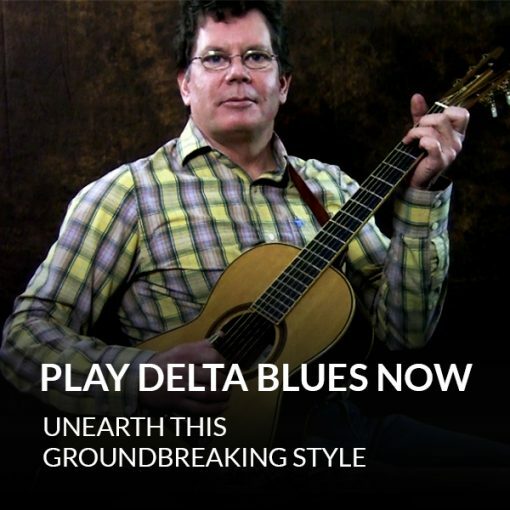 An introduction to Delta blues, and a discussion on equipment. What type of guitar works best for you, how to use fingerpicks, and more. So you can get an authentic Delta sound. 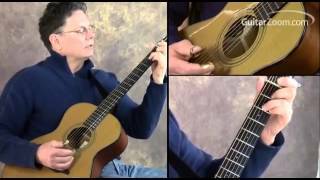 Find out the right way to hold your guitar for Delta blues playing. So you can play this unique style the right way and avoid injury. 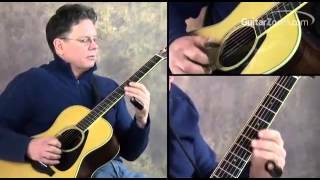 How to play “Pony Blues” style chords in the style of Charley Patton. And a complete blues progression in this style. How to play a complete song in the style of Willie Brown, “Ragged And Dirty Blues.” So you can hear what makes his style unique. A slower tempo breakdown of the song. So you can learn it from beginning to end, one lick at a time. 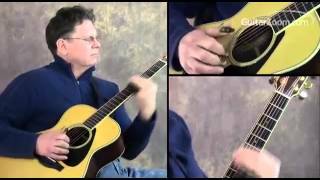 How to play a complete song in the style of Tommy Johnson. This song uses “drop D” tuning, which means you’ll learn a new way to play basic chords. How to play 2 songs in the style of Robert Johnson. So you can play authentic Delta blues in the key of A. Discover the magic of the “walking down” progression. So you can add a distinctive sound to your blues progressions. Find out how to play a complete blues turnaround in the style of Robert Johnson. And a complete breakdown of the turnaround, step by step. Discover how to add a jazz “flavor” to your blues playing. Which means, you’ll learn some slightly more complex chords to play. Find out how to play 9th and other “jazzy” chords. So you can expand your arsenal… and your personal style. 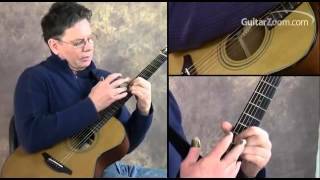 Pro tips on making chords, as well as fingerpicking. So you can make chord changes smoothly and pick each note clearly. Find out how to tune your guitar to open G. So you can start playing legendary blues songs written in this widely-used blues tuning. 3 essential techniques for playing bass notes: “snapping” bass, “pick up” bass, and regular bass. So you can add variety to your Delta blues playing. Discover the magic of slide guitar. Find out how to use a slide, and which notes you should target when you play blues. So you can make your guitar sing and scream the blues. How to play slide guitar in the styles of 3 iconic Delta bluesmen: Robert Johnson, Mississippi Fred McDowell, and Son House. And what makes each player’s style unique. 2 entire Delta blues songs that use slide guitar. So you can see how it’s done and get inspired. A breakdown of both songs, so you can play them yourself and add your own unique style. Steven Dahlberg is arguably the world’s leading authority on authentic delta blues. He has been practicing this particular style of the guitar for the past 30 years which has made him the expert that he is today. In addition to practicing for 30 years, he has also been teaching others for the past 20 years. Steven has been teaching privately, to a hand-select number of guitarists who are lucky to live near him. Here at Guitarzoom we have been fortunate enough that Steven has made a course with us and has, in that way, given a wider audience an access to his knowledge. 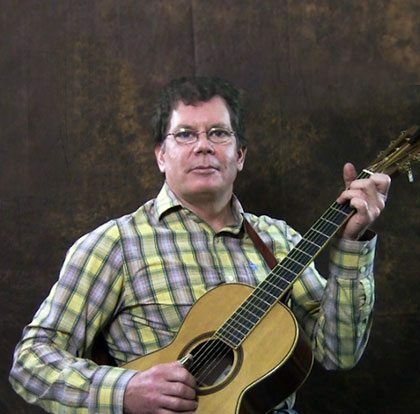 Steven Dahlberg is the world’s undisputed expert on authentic, pre-war, acoustic blues and he’s the most sought after instructor in the mid-western U.S. He is a hard working guy that has a deep passion for delta blues. That alone, makes him an awesome guitar player, but as well, a guitar teaching machine. His love of delta blues made Steve dedicated in sharing his knowledge to other guitarists. He’s also the author of multiple acoustic-blues guitar courses, most of which were instant best-sellers. 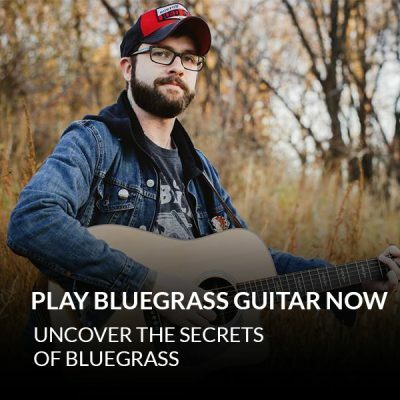 Over past few years he’s helped literally tens-of-thousands of guitarists in over 100 different countries discover and learn to play this inspiring style of music… Delta Blues! 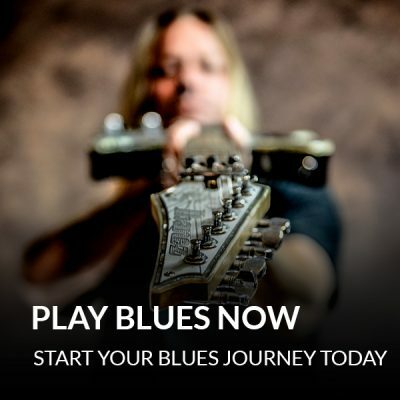 Play authentic blues progressions, and create your own blues songs and solos from scratch. Rob Ashe is going to help you burn through bluegrass licks and songs that once seemed impossible.